Union County Vocational Technical School offers a wide variety of courses to help prepare students for a career in one of several exciting fields. They recently decided to expand their auto shop as it was becoming over crowded and potentially unsafe for their students. Union Vo-Tech had several needs for this space. First, they needed more room to store supplies and equipment. Second, they needed some of the more specialized equipment to be in a secure location. 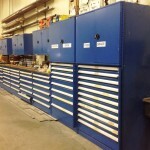 And third they needed the whole project to happen while the auto shop was still in use. Unfortunately, they didn’t have any floor space to dedicate to this need. 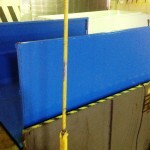 They contacted Grace Material Handling to come up with a solution. First, our team made a site visit to their facilities to review the project. 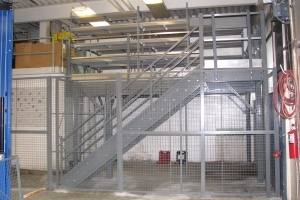 After reviewing the space and their requirements, we presented a proposal for a custom designed mezzanine for their space. 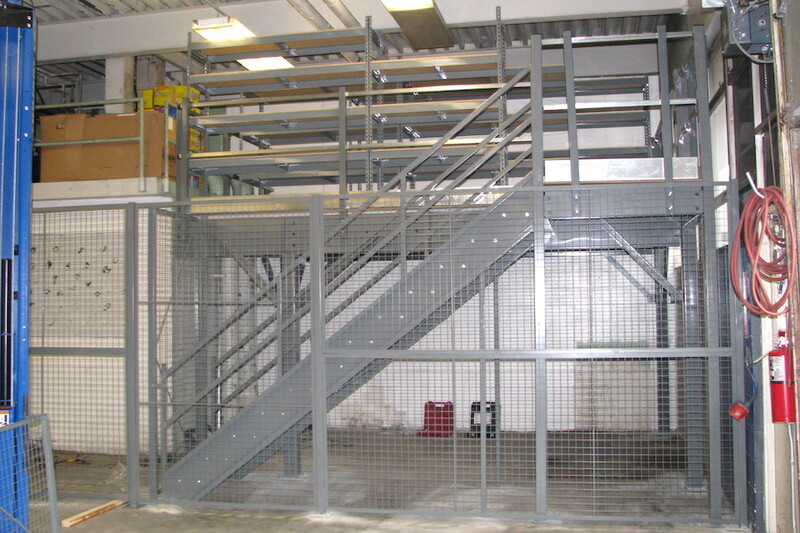 This mezzanine would serve as a complete storage system for them. 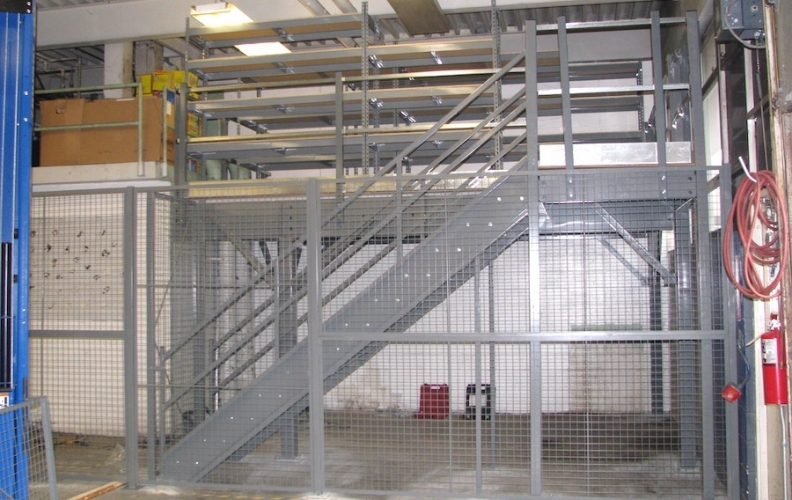 We added space to an already crammed room by providing a 190 square foot mezzanine with an OSHA regulation staircase for access. 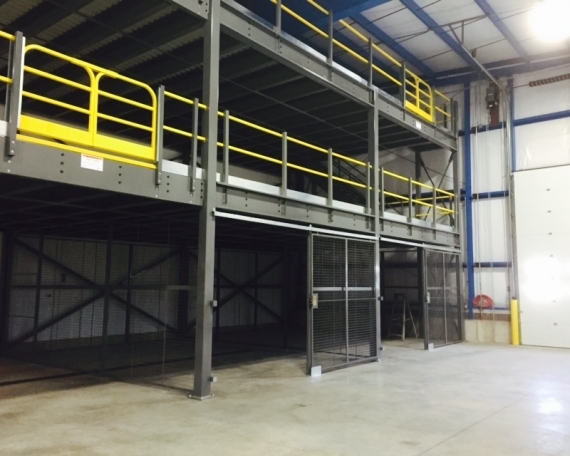 To help them better maximize the new space, we provided several shelving units for on top of the mezzanine and managed to fit a few more in underneath as well. 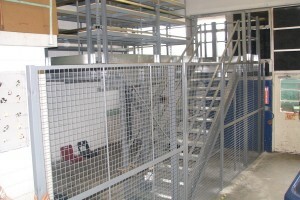 In addition, for their security concerns, we provided a security wire partition to enclose the area where the specialized equipment was to be housed. 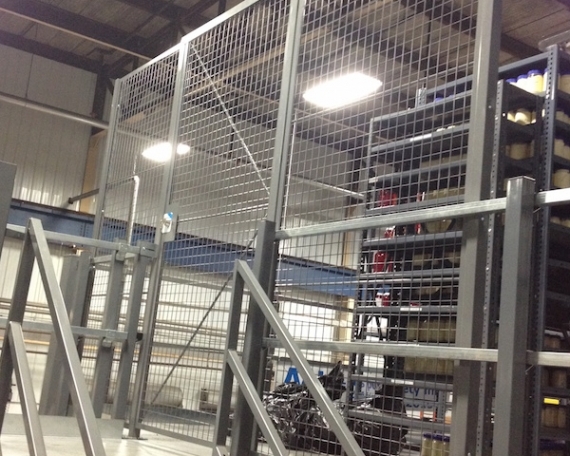 Lastly, working with our installer, we arranged to have the installation completed around the busiest times for the auto shop, but still working while it was in use and staying out of their way during the install. The mezzanine, shelving and wire partition was installed in a very timely manner and now the vocational school is enjoying the newly added secure space.